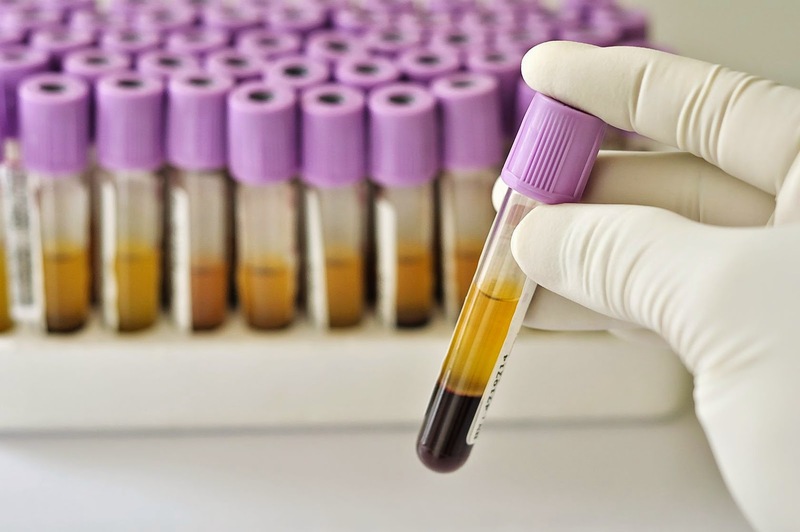 Researchers have demonstrated a method for detected "cell-free"
tumor DNA in the bloodstream. ﻿Researchers have demonstrated a method for detecting "cell-free" tumor DNA in the bloodstream, and believe the technique will be transformative in providing improved cancer diagnostics that can both predict treatment outcomes and monitor patient responses to therapy. In a large retrospective study of blood samples, the researchers showed that the method, called a "liquid biopsy", could accurately distinguish prostate cancer from normal controls without prior knowledge of the genetic "signature" of the tumors, and with over three times the sensitivity of current prostate-specific antigen (PSA) screening. The study appears in the journal Clinical Chemistry. The study collected serum from more than 200 patients with prostate cancer and more than 200 controls. The samples included PSA levels and prostate tissue biopsy grading, called the Gleason score. The researchers reported that the technique distinguished prostate cancer from normal controls with 84-percent accuracy, and cancer from benign hyperplasia and prostatitis with an accuracy of 91 percent. It's been known for many years that dying cells, including tumor cells, shed DNA into the bloodstream. But only recently has technology, notably "next-generation sequencing," made it possible to reliably distinguish and quantify cancer-specific DNA from normal controls by the identification and chromosomal location of billions of specific DNA fragments present in blood as cell-free DNA. The prostate cancer study identified 20 "hotspots" of greatest chromosomal instability as additions or deletions in less than 0.5 percent of the total DNA present in human chromosomes. While researchers around the world are working on their own "liquid biopsies", the group's technique takes a broader approach. It examines the entire genome rather than known specific gene point mutations. Since the entire genome was surveyed, the researchers were able to identify a non-coding region of the genome as a "hotspot," which may be generating previously unrecognized chromosomal control elements in prostate cancer. The other 19 "hotspots" were rich in genes involved in replication and cell control processes that are highly relevant to cancer. The researchers have previously reported similar results in a breast cancer study. The researchers further predicted that liquid biopsies will quantify immediate tumor responses to therapy. Originally posted by Vanderbilt University Medical Center.